The Honeywell LTE-XA will allow a Honeywell VISTA Series Alarm System to connect with the AT&T LTE Network and access the AlarmNet servers. This is needed for using the system with the Total Connect 2.0 Platform. Get your VISTA System connected with this robust and reliable communicator. The Honeywell LTE-XA is the AT&T LTE Communicator for the Honeywell VISTA Systems. This add-on will allow the system to connect with the AT&T LTE Cellular Network for fast and reliable communication. With a cellular communicator installed, the system can be used with Total Connect 2.0. LTE is short for "Long-Term Evolution". These networks utilize the latest and most-advanced 4G standards. They offer ultra-fast speeds and exceptionally reliable service overall. 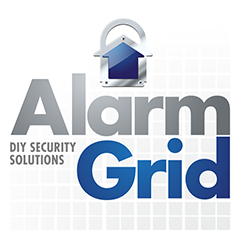 This makes these networks perfect for use with alarm systems. With this type of communication, the system will experience faster transmission times with a central station and with the AlarmNet360 servers that host Total Connect 2.0. Additionally, AT&T has vowed to support their LTE network for many years into the distant future. By obtaining an LTE communicator, a user is working to "future-proof" their system from any network discontinuations that are likely to occur in the coming years. As a communicator, the LTE-XA installs in largely the same way as other VISTA cellular communicators. An included wiring harness connects into a port on the module. Meanwhile, four pre-stripped wires on the other end go to the ECP bus for the VISTA's keypad. These offer power and data connections. The device will draw up to 250mA of power with peak usage, and this will count towards the total current draw calculation. The LTE-XA also features LED status lights that will assist the user with set up and registration with AlarmNet360. The system will be able to take advantage of all the great features of Total Connect 2.0 once it has been set up with ANET. Please note this is the AT&T LTE version of the module. A Verizon LTE version is available here.